« CALL TO ARTISTS | WE NEED YOU! There is no storage available for artist. All equipment tables, easels, stools are limited to first come first serve. Please read FAQ’s for more information. Do’s and Don’ts | Come and make art! The Co-Working Studio Project is an arts project in a welcoming atmosphere of supportive non-interference – free of all comment and critique. 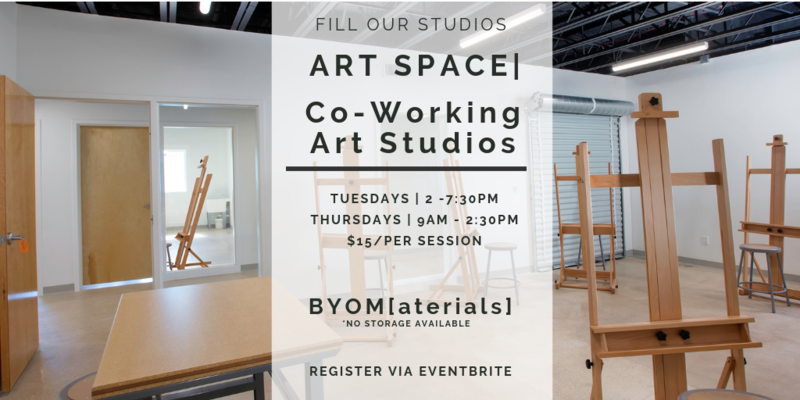 We invite you to connect or reconnect with your own creativity while making art alongside others in the open studio lab. Our mission is to utilize and bring the creative process to people of all levels and backgrounds and to empower them to turn to art for personal and professional growth. Through all of our programs and projects we encourage you to explore art as an arena for professional development, reflection and creative play. Event Parking: Street parking along 3rd Street and 3rd Avenue is free. There are two public parking lots marked in yellow on the map below which are north of Arts Warehouse on 3rd Avenue. Arts Warehouse is a short walk from the main downtown areas and Pineapple Grove garages. PLEASE do not park in the dirt parking lot at the northwest corner of 3rd & 3rd (denoted with a red X on map below) as it is not a public parking lot.